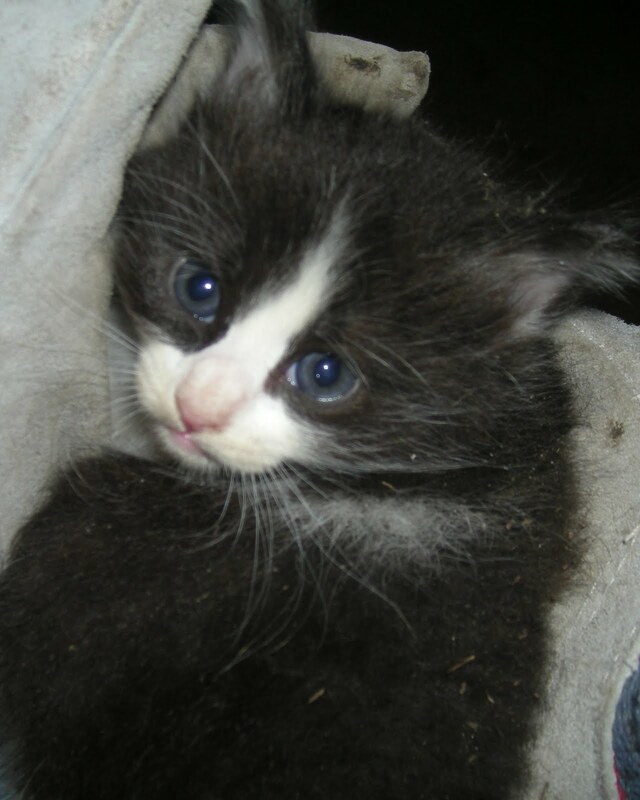 A little feral cat was born at Gemmmashouse. A wild mama cat only had one kitty. Looking into those pretty baby blues makes me want to keep it and take care of it. Being a cat lover I want to take in all stray cats...which would be impossible. But this one was born right here in my side yard....cute eh? I love cats Gemma. This one is gorgeous. It (he/she) reminds me of my Oscar, gone but still loved and remembered. Those eyes are asking for you to keep him..! Aaahhhhh, Gemma. You are doomed. Let us know what name you give the little sweetie. Sure is a keeper. We had a stray/feral cat in the neighborhood that had to separate litters in our garage. We kept two out of the eight born there and then one of the kittens that we couldn't catch had a litter and we kept one of hers. We have two of them still. They are the best and smartest silly cats ever! There is no question that this little cat wants Gemma for a momma!!! xoxoxo SO CUTE!!! !